Have worked on millions of words over 20 years as a writer and editor in Editorial Solutions (Ireland) Ltd. Previously, I was editor of Lifetimes, a magazine for older people. In-house experience at staff officer level in public sector press offices, advertising agency copywriting, and in publications officer roles. Reports, non-fiction books, magazines, websites, ezines, online news portals, brochures. Copywriting, corporate journalism, copy-editing, proofreading, plain English, ‘easy read’ writing. Tourism, business, education, health, geology, archaeology. Tourism Ireland, Northern Ireland Tourist Board, Invest NI, Enterprise Ireland, National Standards Authority of Ireland, Irish Research Council for Science, Engineering and Technology, Public Health Agency. Writer and editor on Ulster Graduate magazine; writer of Tourism Ireland’s international monthly ezine, Ireland Ezine; contracted editorial support writer and editor to Tourism NI; ‘easy read’ editor on A Bill of Rights for Northern Ireland, Northern Ireland Human Rights Commission; rewriter on Tomb Travel (accessible archaeology book on megalithic tombs); structural editor and rewriter on Between Rocks and Hard Places, (accessible geology book for Geological Survey of Northern Ireland); copy-editor of Cook it! (large nutritional education resource, Public Health Agency); proofreader on A Study of Cocaine Use in Northern Ireland, Queen’s University; editor and project manager on Bréifne: A Different Journey around Cavan, Leitrim, Fermanagh, Sligo and Roscommon (tourism book) for TSO Ireland. Versatile wordsmith with substantial and wide-ranging experience on publications and communication projects. 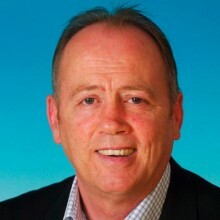 Co-founder of Belfast-based agency Editorial Solutions (Ireland) Ltd.